From the time she could walk and talk my toddler has desired to do school with her older siblings. We have organized things here and there for her, but at age 2.5 she is ready for 'big girl school'. The Crafty Classroom with their Bible ABC Curriculum Notebook gave us a perfect start to learning the alphabet through the Bible. 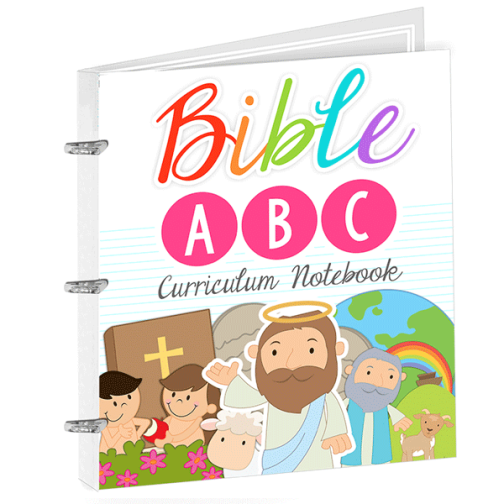 They also offer an ABC Curriculum Notebook that isn't focused on the Bible. I was excited to include the Bible in ours, as my little one knows several of the stories already and I knew she would enjoy it even more with the Biblical characters. I received my copy as a pdf file, with 658 pages. I won't be printing them all out at once, though it does include permission to print for single family use. You will need a large binder to place them in as you go if you choose. I want to keep them together for her to have as a record for her work to look back on when she is older. You can divide it into 26 sections if you want one for each letter of the alphabet. There are 4-5 worksheets for each day, with enough for 4 days. I do recommend not going more than 4 days with a preschooler. Even with mine we tend toward two days a week more often, just to not overwhelm her. She was good through the review period working on up to 4 days a week, though not wanting to get all 4 worksheets done each time. The curriculum is very organized, and detailed in instruction. I had my 12 year old work with my toddler on it. We have as part of our school day, "Jurnee time" where each of the kids "teach" her for 1/2 hour of our morning. This gives me time to work with an individual child, while the toddler is being kept entertained, and it helps the teaching student more by being the teacher! Win all around. Each letter has a Bible Theme, Bible Vocab Word, Bible Verse, Character of God, and Character Verse. These are the basic themes that run through the week. For an idea of the variety of worksheets that are included, here is the suggested calendar. Such a variety of worksheets, and fun things to do! In addition to the calendar, there is a step by step for each worksheet, and game to let you know how to complete them. Very detailed directions which are perfect for the new and seasoned homeschooler. Jurnee had been learning about Adam and Eve just prior to starting this, so God's timing again was perfect! This program offers lots of opportunity to display their work and concentrate on the letter for the week. Lots of great reinforcement for them. I am considering having a corner where Jurnee has her display for the week, so she will be seeing the work she did, the letter of the week, and her Bible verse every time she passes by it. We haven't organized our school room yet from the summer but this will be a priority when I do. My 12 year old let the toddler do what she wanted with some of the worksheets, and she was in a cutting and pasting mood. I love that there is some flexibility with the pages, that you can let them do different things with them if it interests them, though they are still learning. It has been so fun for me to explore this preschool program, for the opportunity to have a preschooler again after 7 years. This is the one we will be using this fall, and I think we will all love it. 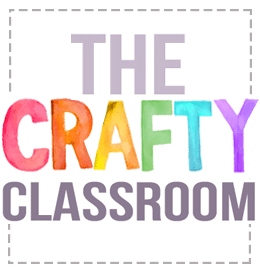 Check out the Crafty Classroom on these social media outlets. Click on the banner below to see what other homeschoolers thought of this and other products from The Crafty Classroom. If we could incorporate arts and crafts all day in our school we would be on cloud nine! along with access to ACTÍVA Products' Favorite Sculpture KIDS CRAFTS a free ebook for ideas. Many ideas are included in this book, as well as the papers that come with the kid. Of course my kids have a great imagination for anything craft related and jumped right into their ideas. My daughter saw the idea for a mask, and rather than sculpt a mask, we bought one that she could use the Rigid Wrap on to form the perfect mask. I knew that my 2 year old would want to make one too, and it actually wasn't a complete disaster! Rigid Wrap is very easy to use. It is in strips, and you cut off the length you want, then dip it in water and it is good to wrap on your mold or sculpture. It is way cleaner than paper mache . 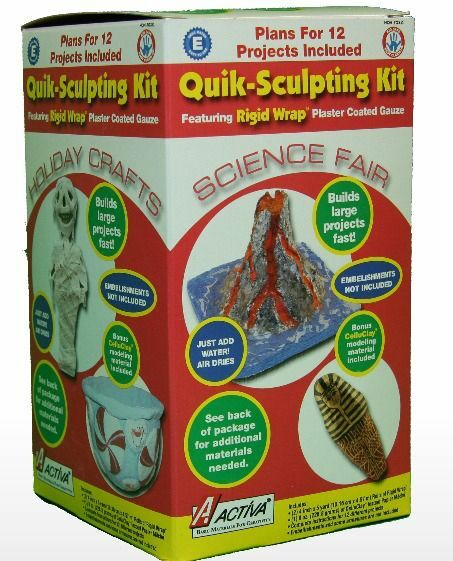 It is basically a plaster coated gauze that makes it easy to mold onto the shape you are using. We set out newspaper under our work area, and I was pleasantly surprised to have minimal clean up. One main thing I need to mention is that when you use the water for dipping, though it just seems like cloudy water after use, DO NOT pour it down the sink!! I think this needs to be more of a bold, bright warning on the label, like a circle on the top of the package. I unfortunately didn't read that first, and actually had to search for the warning after the fact. My husband is awesome and was able to fix it, but plaster does not work well in the kitchen sink! So please throw your water outside, not in the sink. After the girls made their masks we let them sit over night. The next day they painted it with acrylic paints. The paint didn't take long to dry and they were able to attach feathers with tacky glue. How cute is this pair! We need a masquerade ball to go to now! We also received the CelluClay in a one pound package. I loved the lesson plans section on their site for additional ideas on how to use this clay. With it being air dried, and one color I knew we would need to sculpt, dry and then paint. It takes about a day to dry. Several of the lessons use both the Rigid Wrap and The CelluClay. Because it is summer I let them choose their project to make with the Rigid Wrap and CelluClay. I have some great ideas to incorporate these products in making relief maps for geography class. The perfect type of material to build up the mountains, sculpt rivers, and utilize different terrains. Making a globe would be a great geography project as well. This would work great on covering a balloon and painting it like the earth, but still being able to put some relief on it for the continents. It also would be an excellent product for science to make the solar system. Lots of excellent ideas for using in your homeschool teaching. See what my crew mates thought of this fun craft medium and see some of their fun projects by clicking on the banner below! 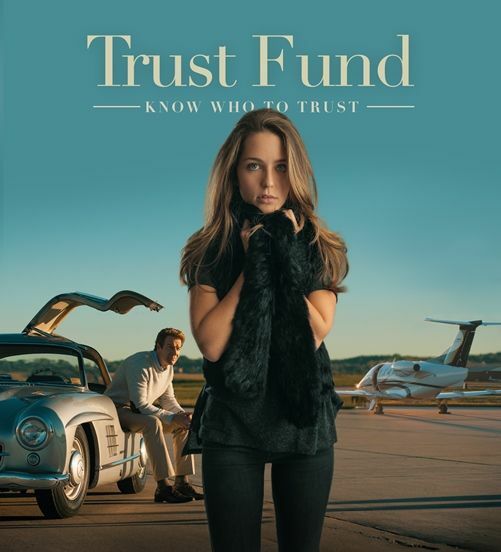 Trust Fund a new movie from Mapelle Films that is produced by an early homeschooler, Isaac Alongi. The film follows a prodigal child theme, though that isn't evident from the start. It also goes much beyond the prodigal story in the Bible, picking up more of what happens after the daughter returns home. What a fun opportunity to see a movie that was written and produced by someone who was homeschooled their entire schooling career. We find more and more, professionals having been homeschooled, and it is an encouragement to my kids. Reese is a writer with a pretty blessed life. Her father owns a publishing company, and she spends her time writing a book. Her father suggests she starts to work with him at the company and she blows it off like she is doing enough just trying to finish her book. Privileged is how she acts. She of course has an older sister, Audrey who is the perfectionist, but works for the things she does. She isn't at all happy with her sisters privileged behavior. Reese finds out she has a large trust fund from her mother who passed when she was younger, and rather than find something reasonable to do with it, she basically steals some of it and runs off to Italy. Sounds very prodigal like! Of course you can guess how that turns out, not going into details, but basically returns home and seeks forgiveness from Dad. He shows the forgiveness, much like our heavenly father does. The movie is 107 minutes long. Dove approved for ages 12 and older. There wasn't anything in the movie that little guys couldn't see, it was probably just not as interesting to them given the theme of the movie. It was a clean, biblical worldview, wholesome movie that is great for family movie night. 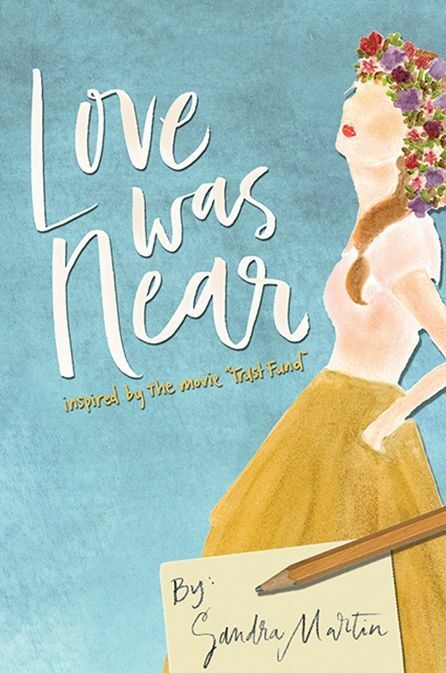 The Book Love was Near is written by Sandra Martin and is a companion book to the movie. It is meant to read after watching the movie, giving more insight into Reece in a diary type style. My 12 year old enjoyed the extra details and information that the book gave, and she especially enjoyed having it written in a diary form and including discussion questions for her personal study. See what my crew mates thought by clicking on the banner below. this summer with my fourth child. Sitting and reading science books has proved to be difficult for him, and we needed a visual learning tool. "What makes Fascinating Education different? Fascinating Education uses an audio-visual technique to teach science in a step-by-step manner using plain English and clear illustration. This “right-hemispheric” learning approach takes advantage of the brain’s ability to process images more efficiently and more effectively than just reading text." Fascinating Education utilizes graphics for teaching rather than showing the teacher write on a black board, or even cartoon characters dancing around the screen. This approach allows Fascinating Chemistry to be used at the high school level and even some in the middle school. Basic teaching without watering it down. Eighteen lessons, each with a video, script and a test at the end. With 18 lessons, you would gear them toward finishing one lesson per every 2 week period, with the test at the end of it. With our school we have a 36 week school year. The lessons are approximately 45 minutes in length, so you could finish one per week if you chose. I wanted to use this for high school Chemistry and desired to make it a year long study rather than a semester. There is not a lesson plan to go with this, you can just use your own discretion at your student's pace. The first lesson is an introduction to atoms, and the following 5 lessons are on bonding. Heat, Air Pressure and Water follow with the next three lessons. As you begin the lesson, the video will keep going through the next portion until you stop it. The left side bar shows where you are by graying out the subjects you have already watched. I appreciate the section Catching Our Breath to give just a quick recap of what has been learned so far. This has been a good stopping point for us on several occasions as well. What you Know So Far is another helpful section to just give a refresher. I as the teacher needed it, as it has been a long time since I had chemistry. I don't know that my son would need as much reinforcement, but it certainly doesn't hurt. There is a lot of information, especially in the early lessons we studied, learning about atoms. It is some of the building blocks or beginning steps of Chemistry that is needed. It did feel like we were learning about them for a long time. Beginning in Lesson 2, there is a lab in several of the lessons. The first is making salt crystals. Others I looked at included making brass from pennies, heat of fusion and weight of air. There is a printable pdf for the lab, making it mobile to work with at the kitchen table and the computer isn't needed. The labs looked as if they required common household materials. The labs are for sure the 'fun' part of chemistry and I would be fine with having one for every lesson if possible. See what my fellow crew mates thought of Fascinating Chemistry, Fascinating Biology and Fascinating Physics by clicking on the banner below..
We studied 33 master artists through the ages in Home School in the Woods Artists Activity-Paks. This hands on history has given us a look at a variety of excellent artists, and has incorporated history along with it. I need help with teaching history, and if I can get it in other areas of learning, that is outstanding! The Activity-Paks can be used for Old Testament History, New Testament History and Composers as well. Home School in the Woods has many hands on tools for learning History and we have enjoyed participating in several reviews with them including Lap-Paks and Time Traveler American series. Whenever we can combine history with doing mini booklets, I jump at the chance. I think working on a tangible booklet, then assembly them all together into one, gives the kids a visual that they can reflect on and see the combination of them together for a full picture of what they were learning. My kids are visual learners and having hands on research and learning is much better for them than just reading in a history book. The Activity-Paks are available in CD or download for Mac and PC. Geared for grades 3-8. My 7th grade daughter chose the Artists pak as this was of great interest to her. We used the download version and had no issues working with it. I only needed to print out the portions that we were working with in the Artist-Pak. Five different activities can be paced out at your own timing. Art Media is researching vocabulary words and putting them in the right category of art media words. Art Movements look at a timeline of the different eras of painting and art types. Artist Exhibition is a larger section that will take some time to get through. The student will research each of the artists and their biography, printing out a work or two of theirs to display. Some have been provided, but some will need to be sought out online. I worked with my daughter on this, for safety online. Paint box vocabulary is some additional words that the study will learn. The student will take a look at a specific piece of their art work and copy the style. They are done on 8 by 11 paper so they will lay flat in the assembled lap book. These can be done at a slower pace, reading more about each of the artists. 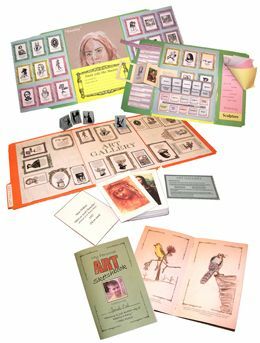 Finally there is a file folder game titled Art Gallery that you can print out and use to learn more about and memorize the authors. There is a lot of printing for this game, but the art works are wonderful to have! The works can be printed in color or black and white. We didn't get through the entire Activity-Pak this summer, so we will for sure continue it into the fall to have a complete course on some outstanding artists.